Borneo Expat Writer: A Fun, Practical Way to Raise Your Self-Esteem and Build Your Confidence for the New Year by Listing Your Top 25-50 Achievements! A Fun, Practical Way to Raise Your Self-Esteem and Build Your Confidence for the New Year by Listing Your Top 25-50 Achievements! Here is a quick practical way to raise your self-esteem and build your confidence for the New Year (or anytime of the year) which I first learned from Jack Canfield. Just list your top 25 achievements. Then billionaire Bill Bartmann recommended listing your top 50 achievements (you can go all the way back to primary school!) to remind yourself of who you are and what you’ve done. This list is really you, and not how you might be feeling right now, especially if you’re achieving less than you think you deserve, or not doing as well you know you can. In life, we all go through our ups and downs, but dwelling on those downs when you are down, really down, can be fatal, especially during the holidays. This is when you need a quick pick me up to raise your self-esteem, and that’s what your list of achievements is, your very own reminder of who you are and what you have done and what you are capable of doing in the future. Now and then, when things are really going bad, you may need to dwell on your list to remind yourself what you had to go through to achieve what you accomplished, and then apply that same skill, perseverance, and tenaciousness again to get you back up to where you belong. By the way, your list has no bearing on anyone else (doesn’t mean you’re better or worse than anyone else); others may not even care one twit about your list, other than a passing curiosity—Oh, I didn’t know you did such and such…What they really care about is their own list and that’s perfectly fine! So, if you want to start feeling good about yourself, I urge you to compile your own list—you’ll be surprised by how many you've forgotten about. Even if you’ve already done this before, try it again (I did back in 2006 but then revised and expanded it from 25 to 50 and added stuff that I did forget.). Then every now and then, when you’ve had less than a perfect day and you’re getting down on yourself, review your list and start feeling good about who you really are, the person who has already done so much in your life and is capable of doing a whole lot more. In case you are curious about my list—here’s my top 50 achievements. I was tempted to start with 9th grade, my first big accomplishment, winning some school award, but I ended up starting after I graduated from Miami University, in chronological order. My latest achievement is finding myself on Wikipedia, but that’s merely an offshoot of having my collection of short stories translated into French, my last major achievement so far. 1) Backpacking solo through Europe for three months, after my initial plans fell through. 2) Moving to Colorado from Ohio and working for Kinko’s and rising to assistant manager by age 23. 3) Climbing Long’s Peak in Colorado. 5) Backpacking solo to the Far East and Southeast Asia for two months. 6) Spending ten days in China, soon after it opened up to the West (arriving April 1,1980). 7) Speaking at a national convention for Kinko’s. 8) Backpacking around the Yucatan Peninsula and Mexico for a month. 9) Becoming a Regional Manager for Kinko’s and setting up ten stores (eight on my own). 10) Retiring from Kinko’s with a full-fledge retirement party at age 28 (to move to Malaysia and write). 11) Driving across the US and then backpacking seven months on my own, en route to Malaysia. 12) Surviving dysentery in Nepal and making my way to Malaysia (to a rural kampung past midnight) to recover. 13) Publishing first short story, “Mat Salleh” in New Straits Times and also My Weekly, UK (with color photos of my first wedding). 14) Being the Coordinator of Malaysian-American Commission of Educational Exchange in Penang for two years. 15) Being a tango dancer in the film Indochine. 16) Having my first son, Zaini, and having the article about his birth published and used by the delivering doctor in his Lamaze classes. 17) Being a stage manager for Penang Players (with no experience, turning a nightmare into triumph). 18) Playing Santa Claus, as a last minute replacement (another nightmare and triumph). 19) Publishing Lovers and Strangers with Heinemann Asia. 20) Giving my first talk in Malaysia/Singapore at 1993 Singapore Book Fair. 21) Being featured for the first time in a newspaper or magazine, Her World, November 1993. 22) Being an extra and working behind the scenes in Beyond Rangoon. 23) Being an extra in Paradise Road. 24) Surviving a divorce and a custody battle and getting back my son Zaini! 25) Taking Zaini to the US for Christmas (when my lawyer told me it would be impossible—it took six months of planning and legal maneuvering; I only got permission via my ex-wife’s lawyer on the eve of our flight). 26) Being an extra in Anna and the Kingi. 27) Setting up creative writing course for USM in Penang where I taught for ten years. 28) Being a single father for four years (I had Zaini during the week and he was with his mother on the weekends). 29) Marrying Jenny in Sarawak and having two more boys, Jason and Justin. 30) Publishing “When Tastes Collide” (“Cross Cultural Dinner”) in Reader’s Digest, April 2004. 31) Being the editor of Silverfish New Writings 4. 32) Being tennis doubles champions at USM for three straight years, after injuring my ankle in the semi-finals. 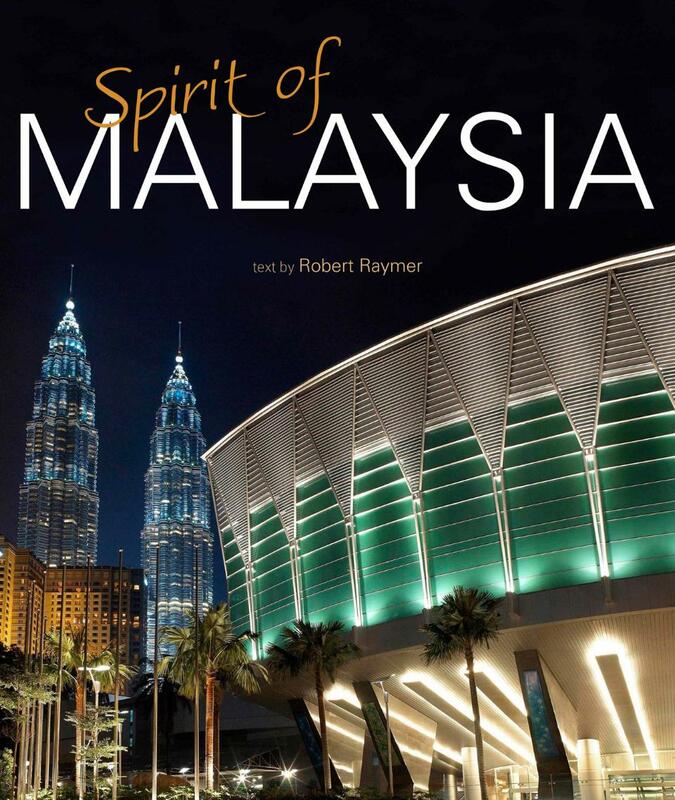 34) My short story “Neighbors” being selected to be taught in SPM literature throughout Malaysia. 35) The Lovers and Strangers Revisited book launch sponsored by Penang Players, who read excerpts of four stories and did a play reading from an adaptation of “Neighbors”, with over 100 in attendance. 36) Buying first house with Jenny, moving to Sarawak, and decorating it in record time since Jenny was seven months pregnant. 37) Putting up a website and finding a way to the Maui Writer’s Conference (after I had initially canceled). 38) Writing “Merdeka Miracle” with Lydia Teh and Tunku Halim for Going Places in one month of frantic writing with two writers I had yet to meet. 39)Lovers and Strangers Revisited winning 2009 Popular Reader’s Choice Award. 40) Hiking the 7-hour “Big Loop” with Zaini at Bako National Park. 41) Publishing Tropical Affairs: Episodes from an Expat's Life in Malaysia. 42) Giving my first full day creative writing workshop at Unimas. 44) Being interviewed on the national TV talk show Kuppa Kopi. 45) Having my 100th short story published. 46) Publishing Spirit of Malaysia. 47) Having my 500th publication. 48) Giving my first two-day workshop for Malaysian Nurses Association. 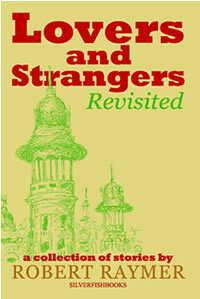 50) Having Lovers and Strangers Revisited translated into French. *Update: Within a month of posting this, I got a new one, Ohio University is adapting my short story "Home for Hari Raya" into a film! Now I can add this to 2012! When you focus on your accomplishments and look ahead, they expand! Also check out Leap for Success this Leap Year with five practical tips to make 2012 your best year ever. Good luck with your own list and 2012! ** Just ran my first marathon! Fantastic! I did mine too. But there are only 37 of them. Good! 37 is more than 25, which is all I came up when I first did this five years ago! The older you are and the more you've traveled and worked in different areas will largely determine your achievements. Once you start publishing your work and having new experiences, you'll quickly add to your list. Later you'll add in few that you may have forgotten about -- I did! Over the years, your list can only get better and better, especially if you push yourself, set more goals, and strive to achieve them!